What Time Do Departure Services Pick Up on the Day We Leave? This will depend entirely on your proximity to Geneva Airport, the time of your flight and the nature of the service booked. However, all departure airport transfer services will get you to the airport at least 2.5-hours before your flight is scheduled to depart, allowing ample time to deal with check-ins, baggage and any delays that may be faced. When it comes to private transfers however, you are able to specify your own time of departure and the driver will arrive at your hotel at exactly the time you choose. Where Can I be Picked Up From on Departure? The standard is to pick you and your baggage up from the same place you were dropped off upon arrival, though this is certainly not set in stone for private transfers. Within reason, the driver will technically be able to pick you up from any location of your choosing that happens to be of most convenience for you. However, if you decide you would like to change either the time or the location of your pick up, you must be sure to make the request at least 48 hours before your departure day. All shared transfers however must be picked up from the pre-specified location. How Are Oversized and Special Baggage Requirements Handled? Generally speaking, it is possible to deal with special and oversized baggage with ease, though this must be organised and authorised in advance. When it comes to shared transfer services, baggage restrictions will be in place due to the limited space available and thus oversized baggage must be declared at the time of booking and may not be allowed to travel. However, those making private bookings have considerable scope for excess and special baggage, though again must inform the carrier of this before making a booking, in order to give time for preparations to be made. If looking to add oversized or special baggage after the booking has been made, be sure to get in touch at least 48 hours before departure but be aware that all requests cannot be honored. Do You Cater for Children? 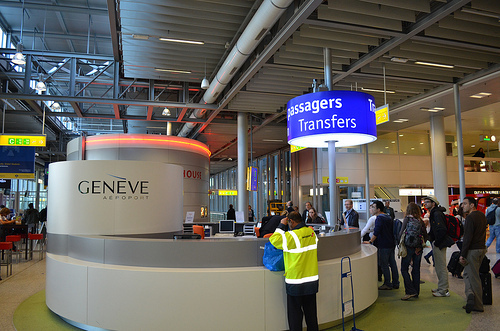 The vast majority of leading Geneva Airport transfer services should by now carry a range of child safety aids and conveniences as standard. This may not be the case for those travelling by shared coach, but any group with children making a private booking should expect various benefits including booster seats and child seats for various ages. However, this is again something that has to be determined and brought to attention at the time of booking, as limited equipment may mean that requests cannot be honoured if made on the day of travel itself.